Once you discover the Yukon for yourself, it never leaves you. And the further away you travel, the more it pulls at your soul. It was this pull that drew Master Distiller Karlo Krauzig to return to his hometown of Whitehorse in 2009 to start Yukon Shine Distillery. His vision? To capture the purity and untamed beauty of the Yukon — where the sun shines up to 20 hours a day and the air is the cleanest in the world — in a bottle. Master Distiller Karlo is dedicated to making the everyday extraordinary. He personally oversees all aspects of the Yukon Shine Distillery. Using pure, locally sourced ingredients and a uniquely crafted grain recipe, every aspect of creating his remarkable spirits is done by hand, one bottle at a time. All resulting in the ultimate craft distillery experience. And truly premium spirits. What is involved in producing your products? We use small batch production, which means distilling the ingredients in small copper-pot stills, and carefully monitoring the manual process until we know we have developed the best possible product, each and every time. Yukon Shine Distillery is proud to support the local community by working with Yukon growers to provide us with the select grains, potatoes, and botanicals used in the production of our spirits. 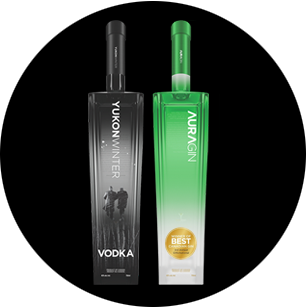 At the heart of our unique grain recipe base — used in both our vodka and gin — is the Yukon Gold potato. Grown by local farmers, it is a short-season, fresh-market vegetable, known to be a favorite of gourmet chefs for their nutty and buttery flavor. And when it comes to the water we use, our distillery is within sight of the mighty, glacier-fed Yukon river, made famous during the Klondike Gold Rush. 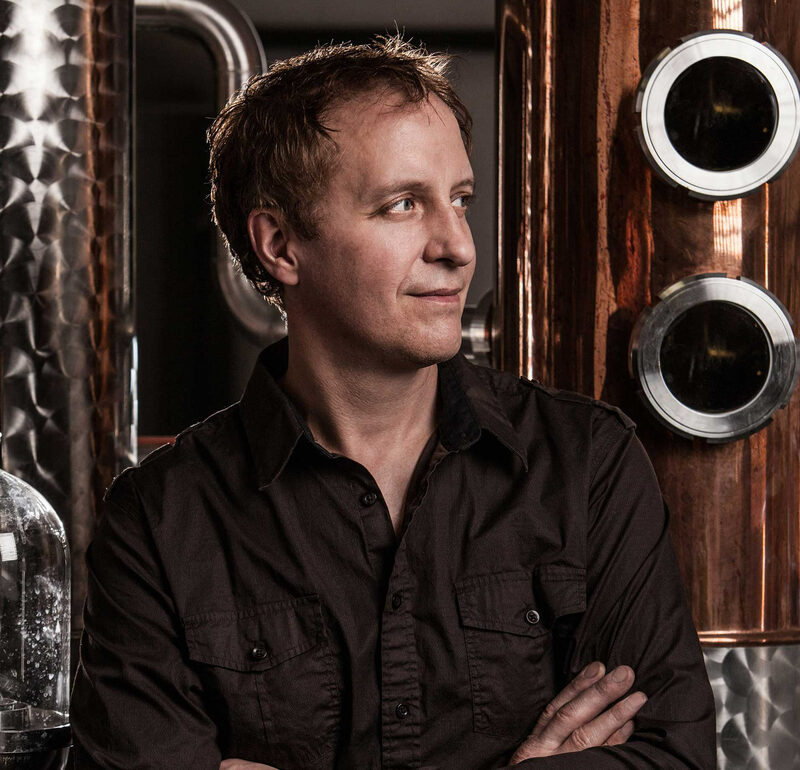 What gives Yukon Shine Distillery products their exceptional character and flavour profile? Yukon Shine has developed a unique source for its starch — combining Yukon Gold potatoes, Canadian rye, and malted barley. This combination gives our spirits their surprisingly different taste and aroma profiles. Most potato distillations use russet potatoes — or other inexpensive varieties — that are high in starch. Since Yukon Gold potatoes are the lowest in starch, more unique flavor compounds are captured during the distillation process. This results in a more viscous quality and a smooth, velvety spirit. Is your product really filtered over gold? Yes, it is. First, we filter our spirits over a traditional charcoal filtration. Then, it passes at high pressure through a filter chamber filled with real Yukon gold nuggets. We are one of the few distilleries in the world to use gold, which has mineral properties that give our spirits a smooth, velvety texture and intense taste. The use of gold filtration not only adds important subtleties when used as a filter medium, but acts as an homage to our ancestral history of the Gold Rush and the spirit of the Yukon. There are two stages to making great spirits: the fermentation of all of our locally sourced ingredients and the distillation process, which vaporizes it into alcohol. This is the most crucial part of the process, and over-distilling a spirit can produce a bland-tasting product. Through experimentation, we found that four-times distillation (putting the alcohol through our still four times) produced the qualities we were looking for in the spirit — pure, flavorful, unique taste and character. Will you be making other spirits or sizes? Since we produce by hand, we are focused on our 750ml, 40-proof vodka and gin. As we grow, we will eventually look to expanding into other sizes and spirits. 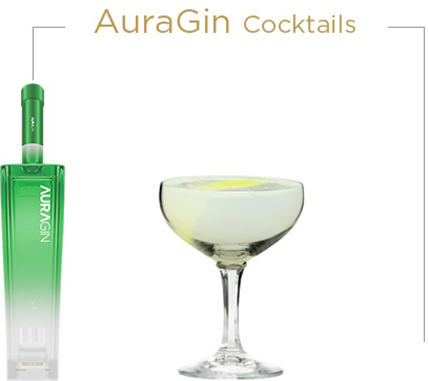 "I was totally captivated the first time I saw Yukon Winter Vodka and AuraGin. The bottles are simply stunning and the spirits inside them are beyond compare". Arlene Dickinson, star of CBC’s Dragons’ Den and Recipe to Riches. Yukon Gold potato base, blended with Canadian barley and rye. With hints of soft wheat, anise, and vanilla, it delivers a slightly sweet, lingering medium-bodied taste. "This is a truly unique vodka. 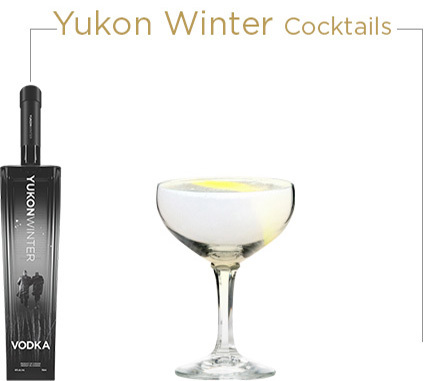 With its hint of unexpected sweetness, Yukon Winter has an incredibly smooth finish on the palate"
A striking array of more than a dozen naturally infused local botanicals. With a hint of juniper, berries and citrus, it delivers a slightly dry, yet sweet note. "This is one of the most distinctive gins going. Its citrus forward note, along with a myriad of other pleasant aromas, goes past the classic and predictable juniper gin taste and creates a surprisingly exciting and refreshing new taste, with hints of berry sweetness on the back end." 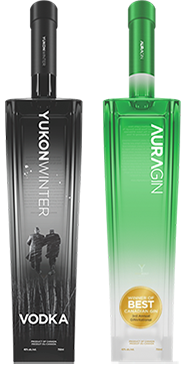 While we believe our Yukon Shine Winter Vodka and AuraGin stand proudly on their own, we also understand the desire to explore new frontiers of taste. 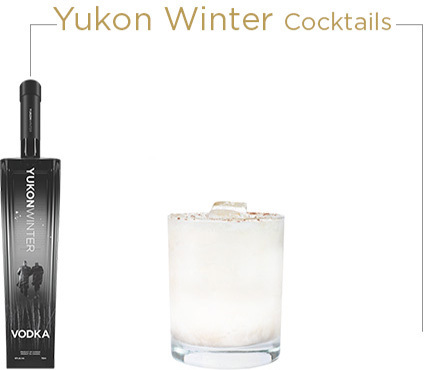 These cocktails showcase the ingredients of Yukon Shine spirits, using fresh and high quality ingredients to bring out the character and flavour profile of Yukon Shine. Based on the White Russian cocktail, this version features white Crème de Cacao to give the cocktail a lighter tone, resembling of the purity of the Yukon. Build all the ingredients in a rocks glass filled with ice. Garnish with a sprinkle of cocoa powder. Based on the classic Tom Collins gin cocktail, this drink is light and refreshing and very simple to make. Build all ingredients in a highball glass filled with ice. Top with soda water and garnish with a lemon wedge. Based on the classic “Cosmo” cocktail , a play on words and use the words cosmo to relate to the stars and famous northern lights found only in the Yukon. Combine all ingredients in a mixing glass filled with ice. Shake and strain into a chilled coupe glass. Garnish with lemon twist. 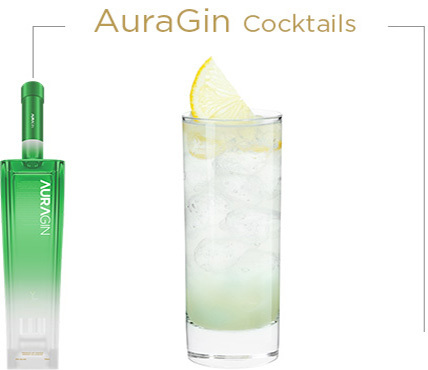 Based on the classic gin cocktail, the Bee’s Knees, this recipe is a simple but refreshing drink which enhances the citrus profile of AuraGin, and is a nod to the most famous flower in the Yukon, the fireweed. Combine all ingredients in a mixing glass filled with ice. Shake and fine strain into a chilled coupe glass. Garnish with lemon twist. Yukon Shine Distillery can be found at these preferred venues. Let us know if you would like your local bar to carry us. November: see us at Hopscotch Festival, the worlds’ largest drinks fest. Being on Dragons' Den was a turning point for Shine. Yukon Shine is coming soon to other Canadian markets. Yukon Shine Distillery and may not be used without permission. through education and awareness of responsible consumption.